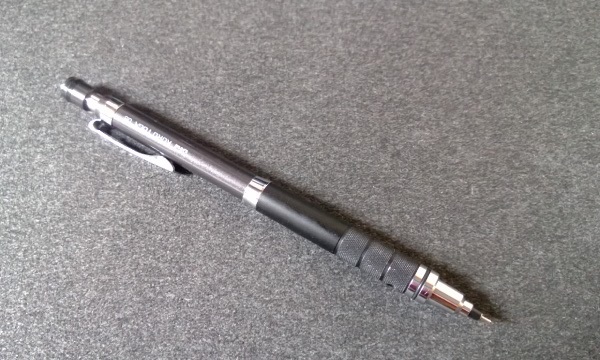 I have primarily used mechanical pencils for my note taking more than a decade now, and there are two particular kinds that really stand out in my memory. The older Pentel model that I first really grew to like, and the modern Uni Kuru Toga pencils made by the Mitsubishi Pencil Company. I have used no less than four different designs of the Kuru Toga (and a number of colours of each) but all of the Kuru Toga pencils share the same important feature – the lead automatically rotates as you use it. 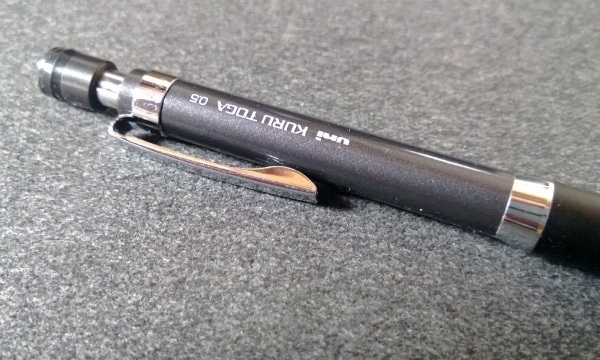 Long term users of mechanical pencils will surely know the biggest problem is that the point of the lead becomes flattened on the edge that is drawing the line. The trick is to manually rotate the pencil in your hand as you write to avoid getting uneven lines. Here’s where the Kuru Toga’s rotating lead mechanism comes in handy – it does all the work for you so that all you need to do is write. 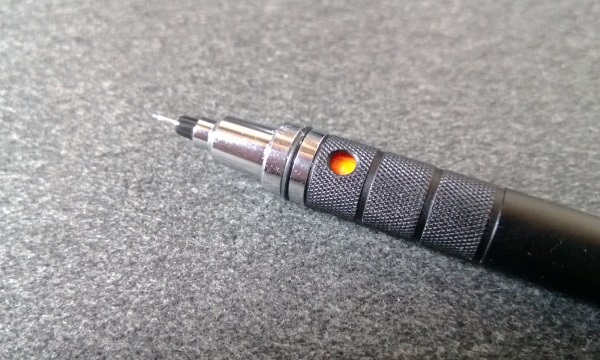 The version I’m currently using is the Kuru Toga Roulette 0.5 mm with 2B NanoDia Lead* – and it is by far the best of an already fine bunch. * Mitsubishi actually produce leads specifically designed for the Kuru Toga. I have not tried them out yet though. Hey! Your kuru toga looks grey and all the ones that are being sold online are either black or silver. Where did you buy it from? Great review, offered me new insight into the kuru toga range!